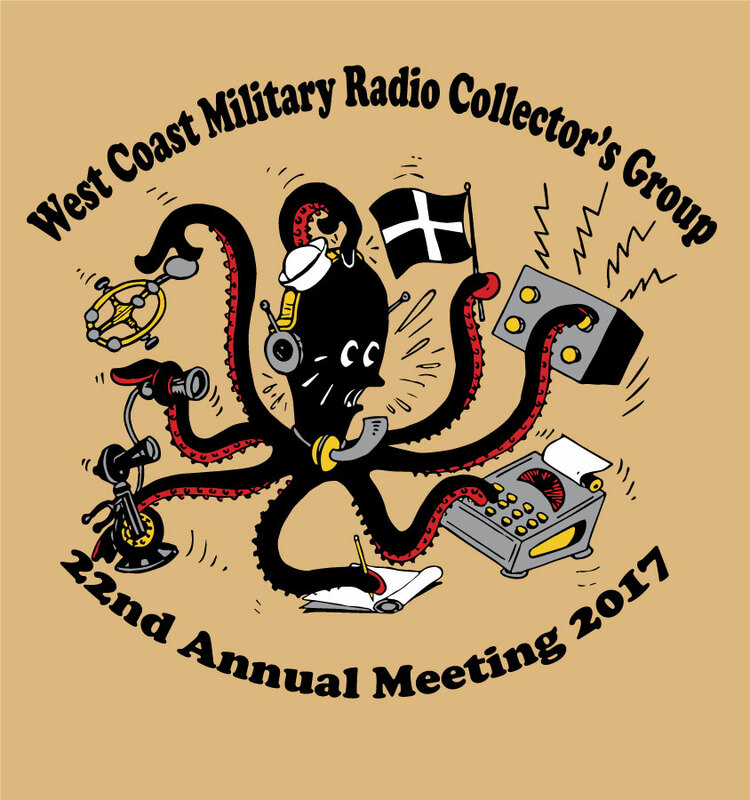 The twenty-first annual muster of the West Coast Military Radio Collectors group was held 5-7 May, 2016 at the National Guard base in San Luis Obispo. 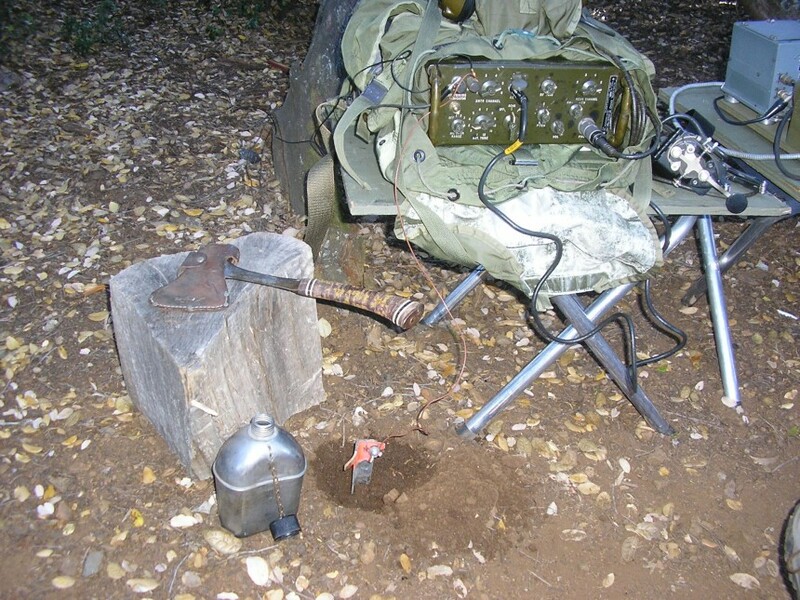 It included a good swap meet, a field operating exercise, great technical talks and a fun Fox Hunt on 51.0 mc. The hilltop exercise ran an SCR-694, PRC-6, A.R.C. Type 12 and a Swedish manufactured PRC-10A set. Good comms on all circuits back to base which was running an SCR-522, PRC-25 and a TCS set. This old gear still works great. For the 2016 Fox hunt, Mark modified a PRT-4 transmitter with internal voice ID, tone keying and 2 different duty cycle modes (beginner and expert). 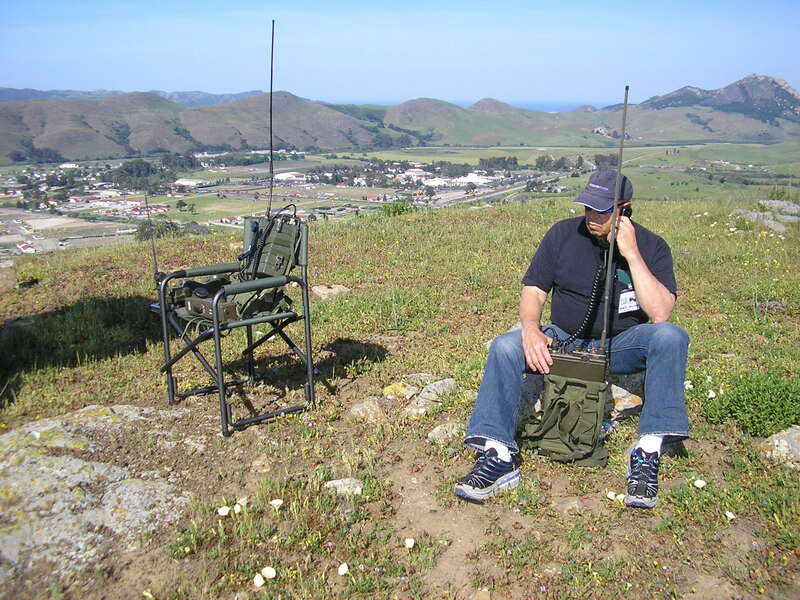 The hunters used PRC-6 and PRC-25 radios with their associated AT-339 and AT-1082 DF loop antennas. We were not experts! Careful – it might be booby-trapped. Testing the “Swedish PRC-10A”. That radio is an interesting, licensed-built set known in the Swedish Army as the Ra-105. External primary battery power, but it worked great. 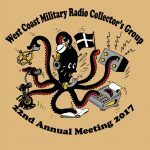 Some photos of recent activities with the West Coast Military Radio Collectors Group at Camp San Luis Obispo on the central California coast. The meets usually include indoor and outdoor operational displays plus local field ops to test and evaluate this old gear in its intended configurations. (minus the P-51 Mustang, see below). “Oscar the Octopus” Cartoon from “Know Your PT Boat”, crewman’s handbook. Technical Publication No.9, NAVSHIPS 250-222-1, U.S. Navy, 1945. 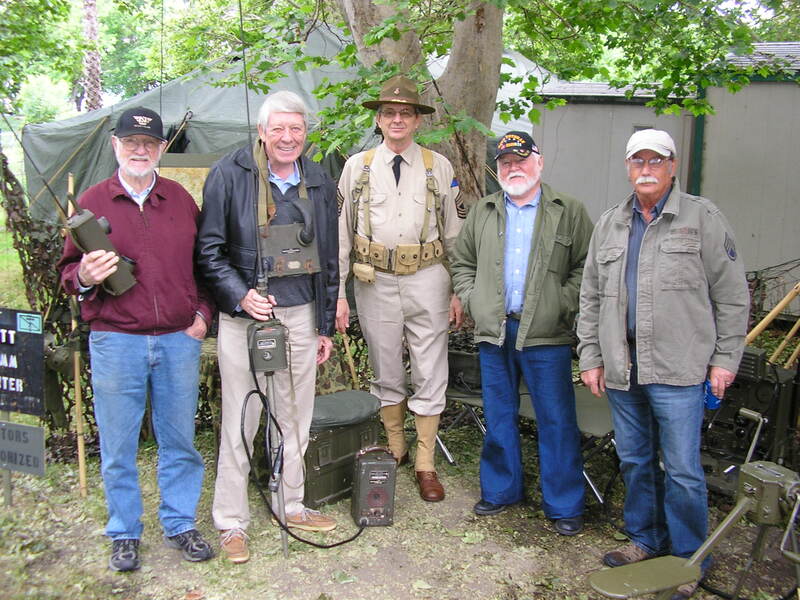 We also participated in “Camp Delta” the annual spring rally of the Military Vehicle Collectors of California. 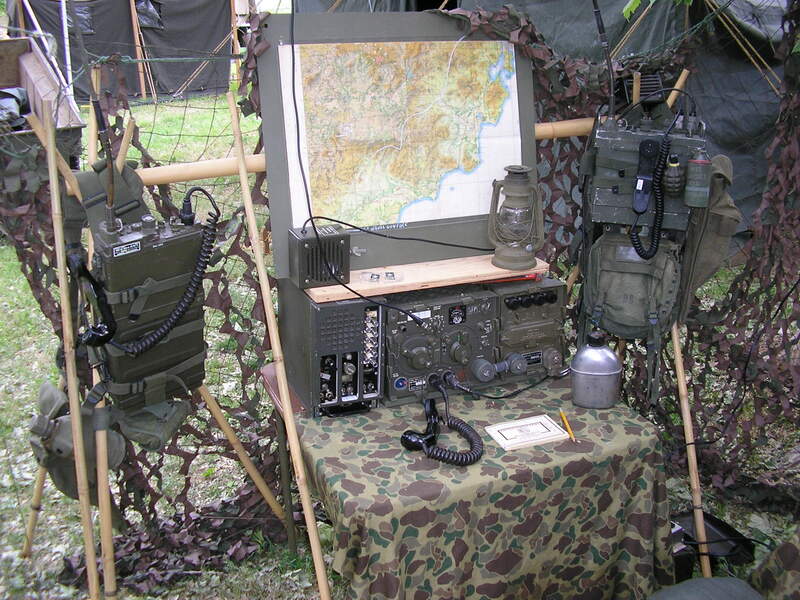 This included a “Battalion Communications Center” using period equipment. Plus various Field Training Exercises. Some pix below. Above: Working a distant PRC-6 with the PRC-10 on the High Ground from Guard Hill overlooking the base. That’s the Pacific in the background. 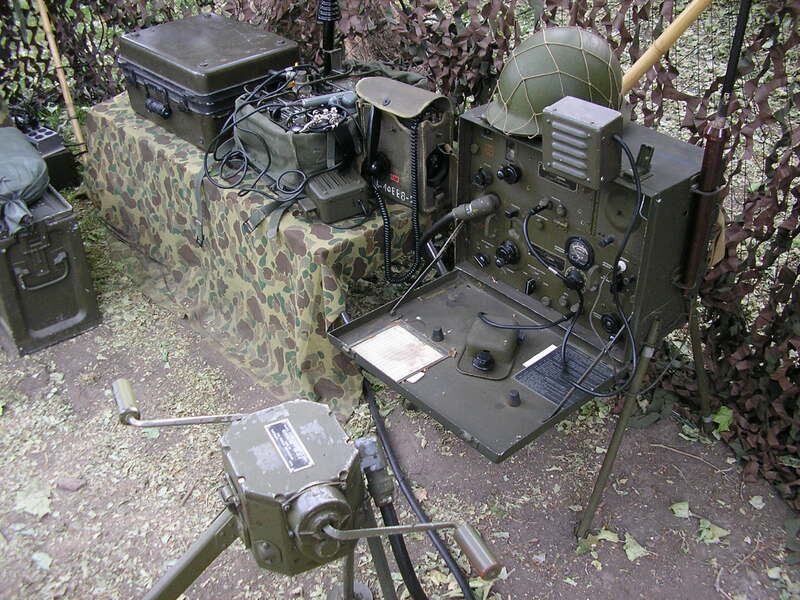 Seen here is the “Electric Chair” outfitted with a PRC-25, PRT-4, PRR-9, BC-611 and PRC-6 for VHF – HF relay. 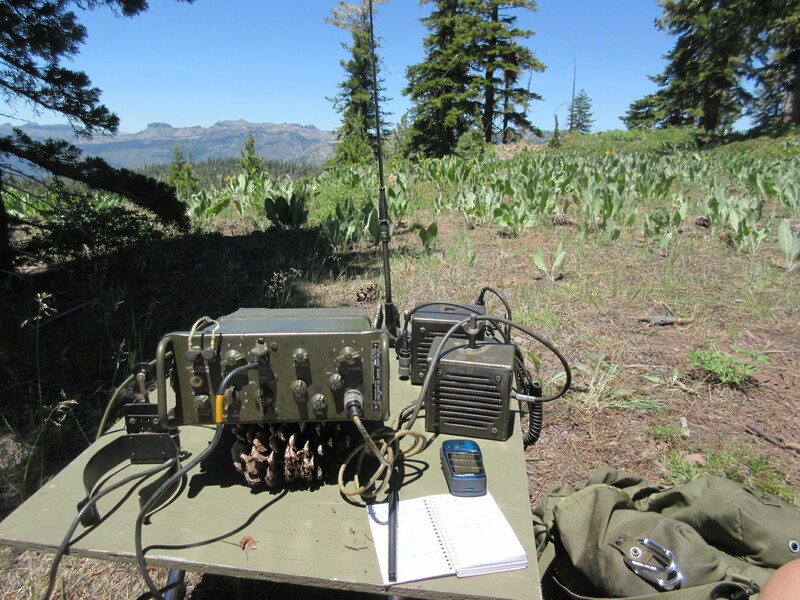 We were working Tom and Andy at their distant location using their TBX-8, MAB and PRC-6. Good comms. 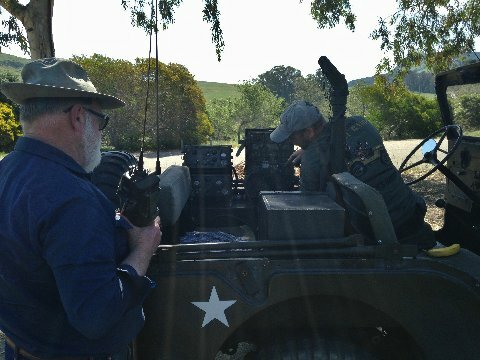 We also worked Craig as he drove his M-38A1 around with its GRC-9 on 3885 Kc. 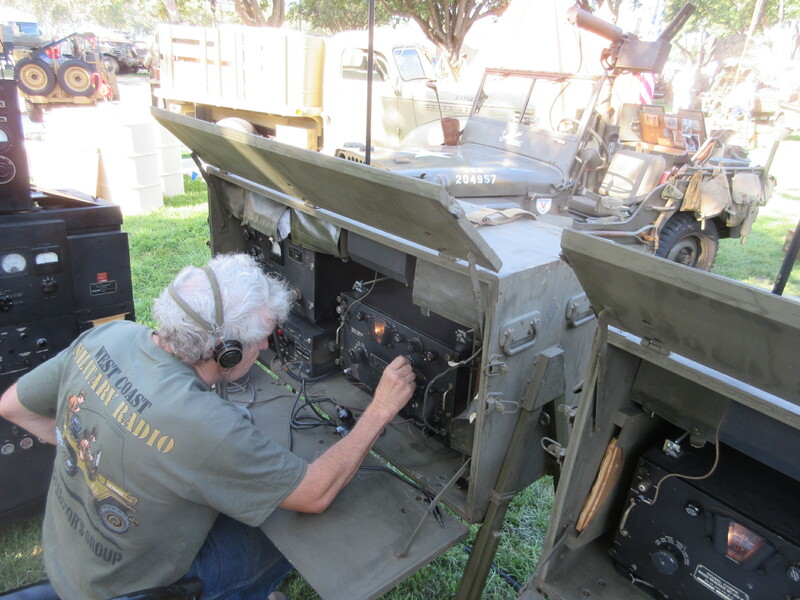 Below: John’s beautifully restored SCR-522 operating tailgate portable on 144.450 Mc. John had just provided another restored SCR-522 for a P-51 Mustang project, the “Sierra Sue II”. That aircraft will be the most accurately restored Mustang flying when it is finished. They even contracted with a wire manufacturer to fabricate all new wire to the original WWII specifications. Everything will be original – including its SCR-522 set. Here he is listening to an ARC-1 back at the base NCO club, our meeting location. Some of the usual suspects marveling at the sound of the SCR-522 Autotune: Stand Back !! Hilltopping with the Usual Suspects. Your typical “candid, action” photo…..That’s the base in the background. Everything was working! Above: In the display area we find Chuck’s GRC-109 system with the elusive UGP-12 generator and GRA-71 code burst keyer. Chuck fired up the Genny and it was very quiet – and little smoke. It had been painted white along with its transit case sometime in the past. Prior service at Ice Station Zebra perhaps? Above: My trusty GRC-109 with its new 12 Volt DC-DC power supply. Also set up was the ARC Type 12 for 2 Meters AM but the 12 V DC power supply power feed developed a problem; receive only today. (Don’t use cigarette lighter plugs for this application!) Also, many THANKS to the fellow who left me the two spare NIB 2E26 transmitter PA tubes at this display. I didn’t catch your name! 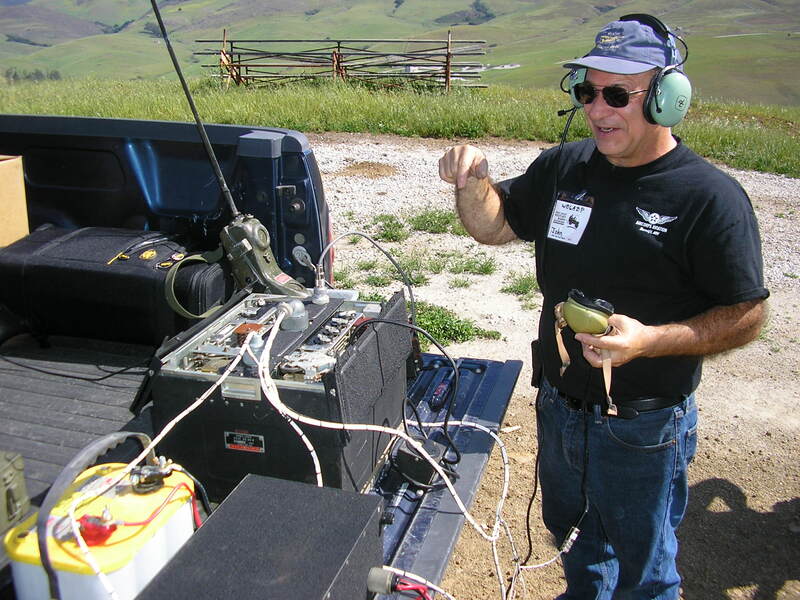 Above: The ARC-1 serving as Base Ops on 144.450 Mc AM used to work the SCR-522. AM on 2 meters sounds great! The MAW’s stayed home on that trip. 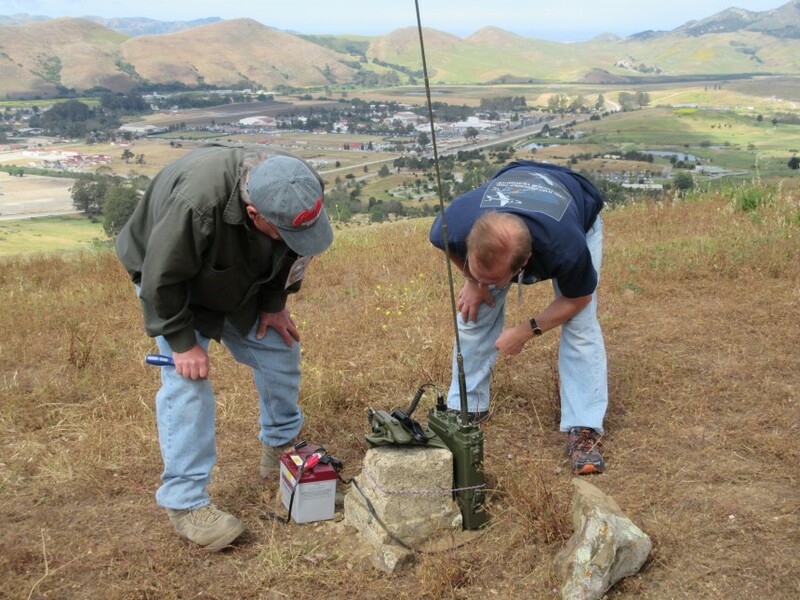 Above: MRCG Hilltop comms exercise at Camp San Luis Obispo in May 2015. Here operating the AN/TRC-77 field set on 80 meters CW to the Net Control station down on the base. We were also running an ARC Type 12 set on 144.450 Mc AM and the PRC-25 on 51.00 Mc FM. Good comms all around from this great location. Photo: K6FWT. We had a 4-way QSO between the ARC Type-12, an ARC-1, an MAW and an SCR-522 all on 144.450 Mc AM. 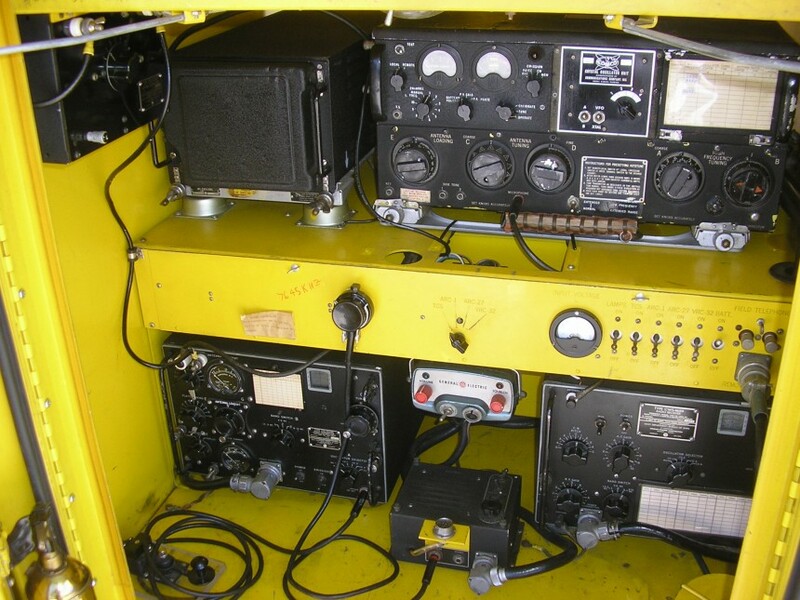 HF Net Control was running a TCS mounted inside KD6TKX’s MRC-56 Radio Trailer which also included an ARC-1 and an ART-13. And no monthly service charges! 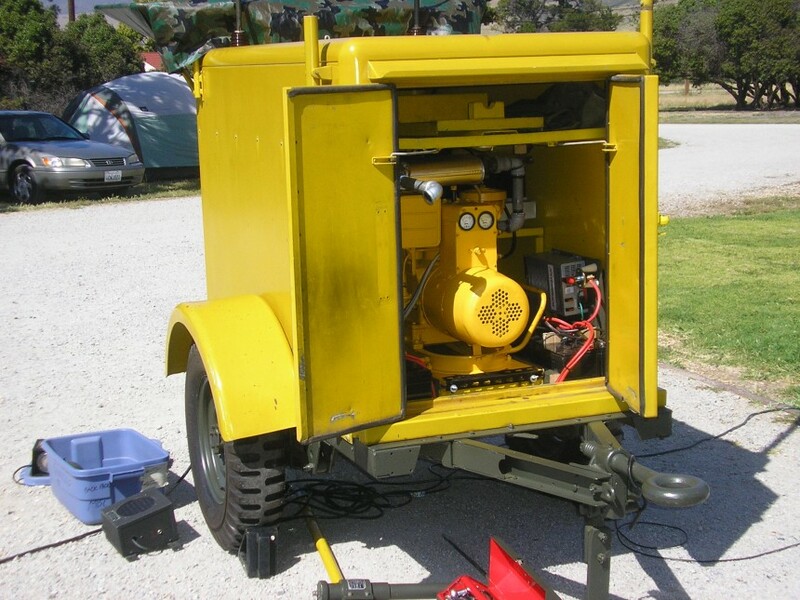 The self-powered MRC-56 with its 90 amp, 28 VDC generator. Above: The Modified trailer has temporarily replaced the AN/ARC-27 UHF AM set with an ART-13. The VRC-32 VHF FM set (6 meters) is under restoration but the issued control head is here. The AN/ARC-1 VHF AM set is in the upper left and the TCS occupies the lower shelf. All sets can be remotely operated. Above: Some of the many visitors to the MRCG Battalion Comm Center at Camp Delta. Checking out BC-611’s and a Pogo Stick with the help of the GRC-9. 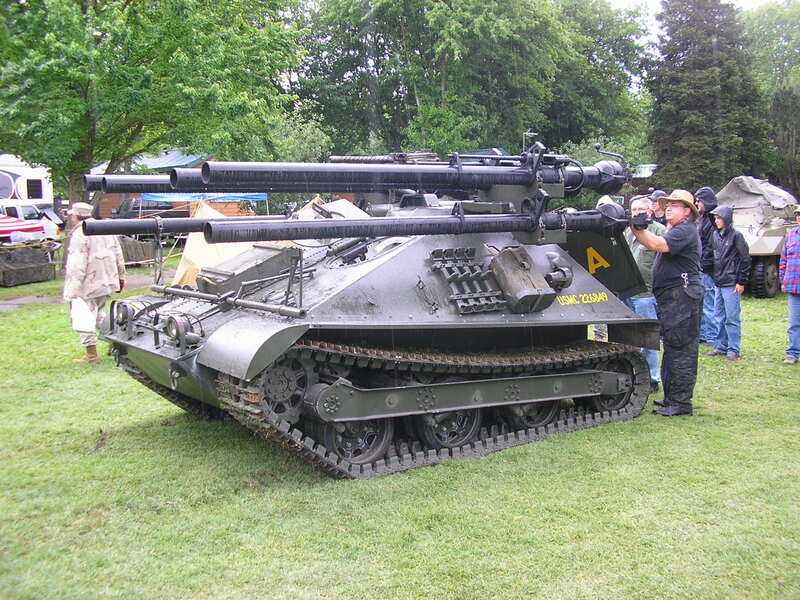 A beautifully restored Half Track bolted to a nice SCR-508 FM set..
Ummmm, I would not stand right there…..
Ontos business end. This classic was bolted to a dismountable AN/PRC-10 FM transceiver. Again, Many thanks to The Chief for providing appropriate billeting in Camp Patriot’s GP Medium tent! 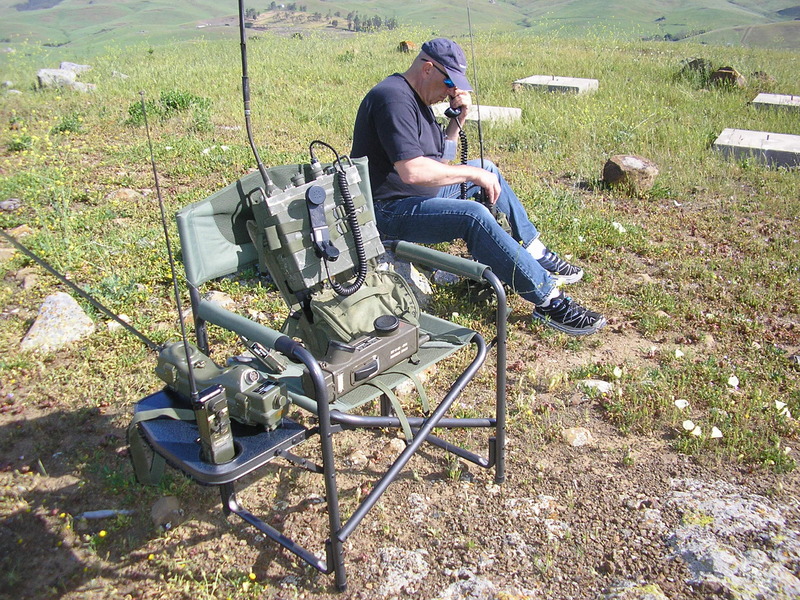 Above: The VHF position with a VRC-10 set, BC-683, PRC 10 and PRC-25. Rigged to a Jungle Antenna the VRC-10 worked well. A cross-era mashup of equipment. 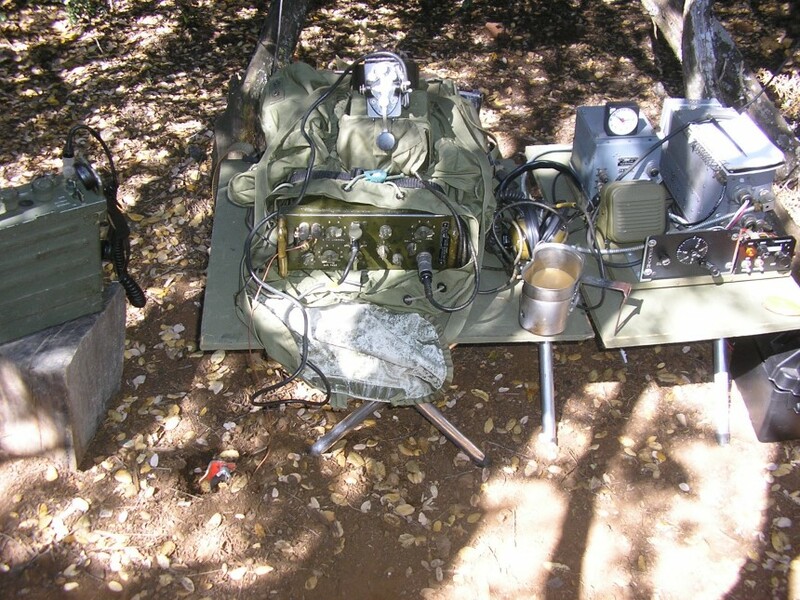 Above: The HF position for Naval Gunfire liaison utilizing an SCR-284, GRC-9 and GRC-109 (in transit case). Also an EE-8 phone to the Fire Direction Center. 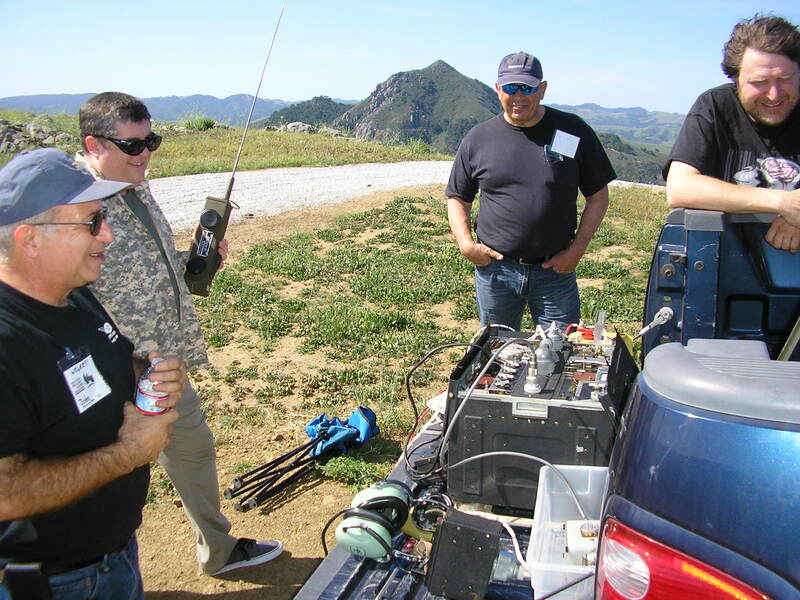 With the exception of the PRC-10 (due to no battery) all the equipment was operational and on line during the event. As usual, the kids liked cranking the GN-45 and hearing the receiver light up for their efforts. 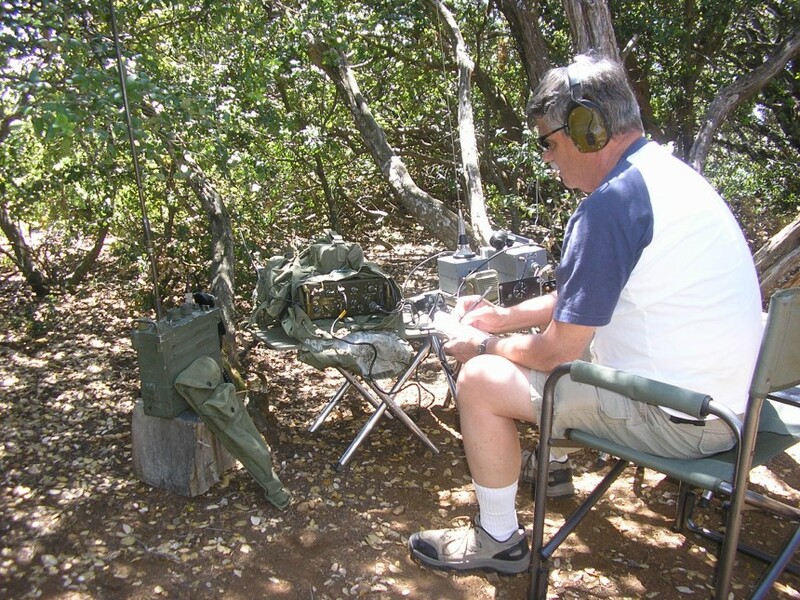 We worked lots of the MRCG guys on 3985 in the evenings using the GRC-9 on AM and CW with both its whip and also horizontal wire antennas. 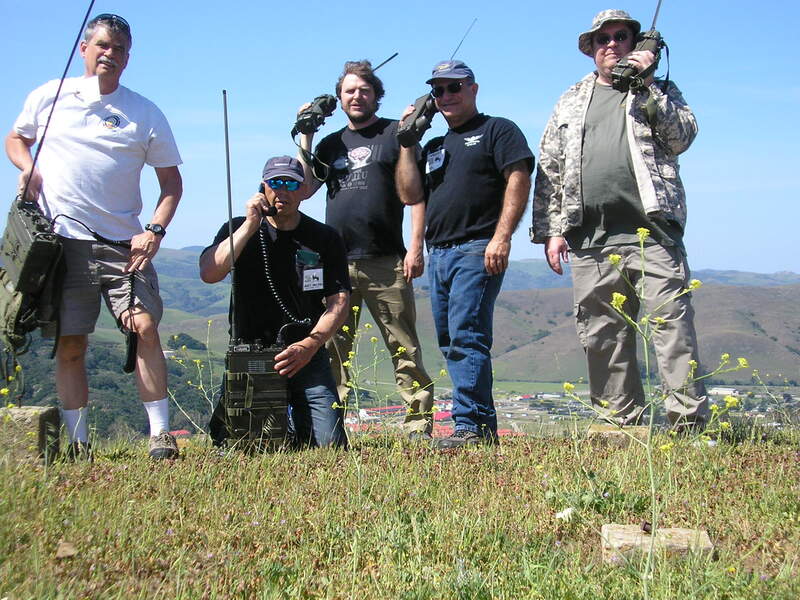 I also worked several CW stations on 7050 Kc CW including K6KPH at their Marconi Memorial Station event in the Marin County headlands at coast station KSM (now KPH). 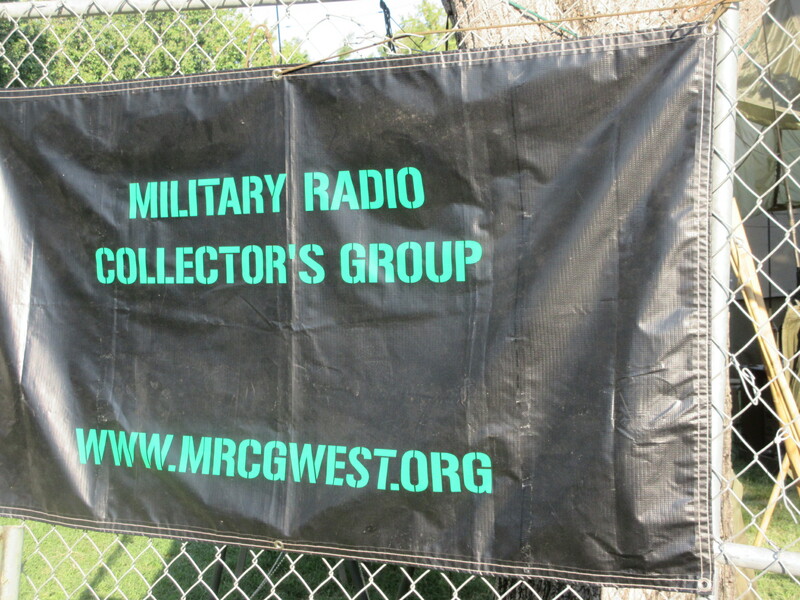 This is a fun Military Radio event in conjunction with the MVCC vehicle guys. We had lots of visitors, provided radio checks for many vehicular radios and even taught a class on military tactical comms to a Boy Scout Venture group in attendance. Good fun. 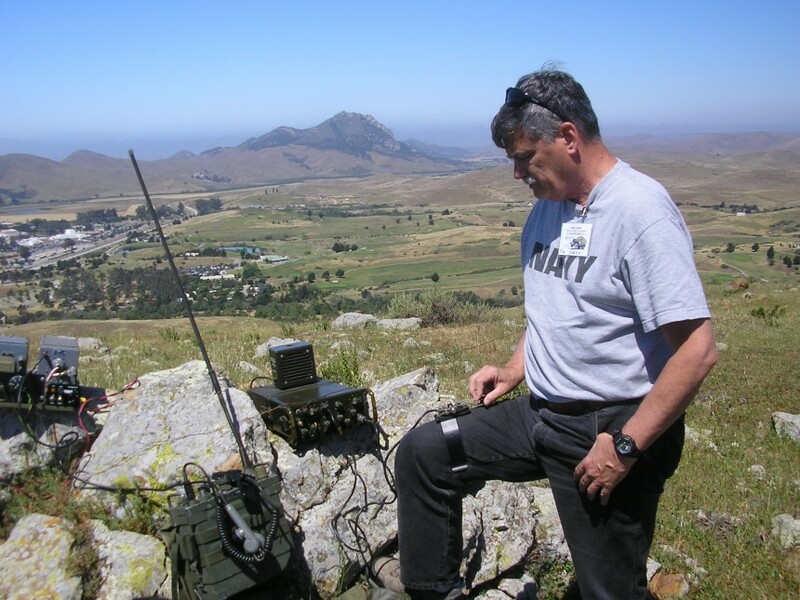 The MRCG DET Alpha (fwd) had a fun Military Field Day up on Mt Diablo this weekend. 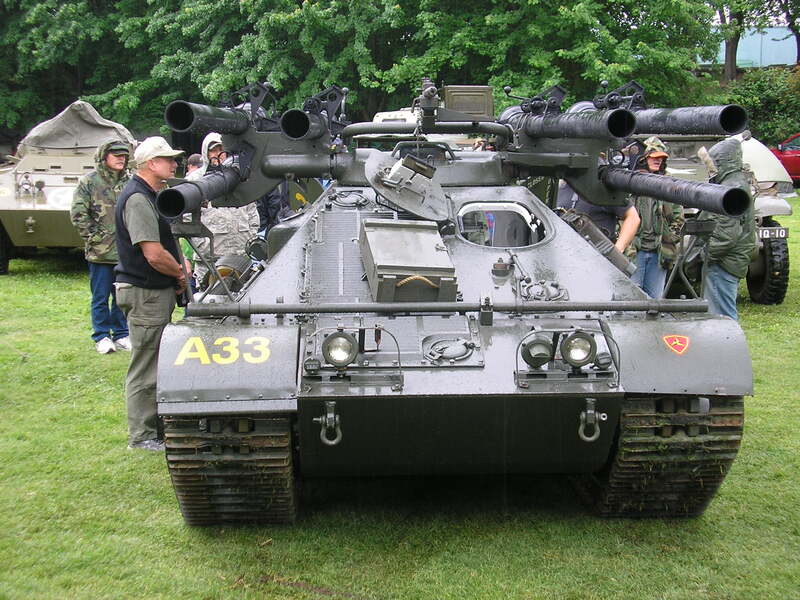 We were running a TRC-77 on 80/40 CW, an ARC Type 12 set and a PRC-25. 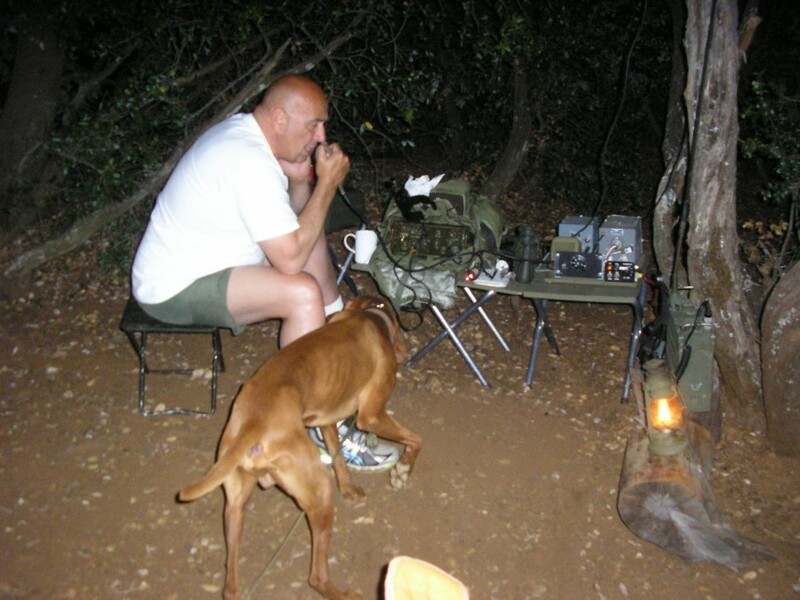 Had good comms with Andy on multiple sked times on both 80 and 40 meters CW, night and day. 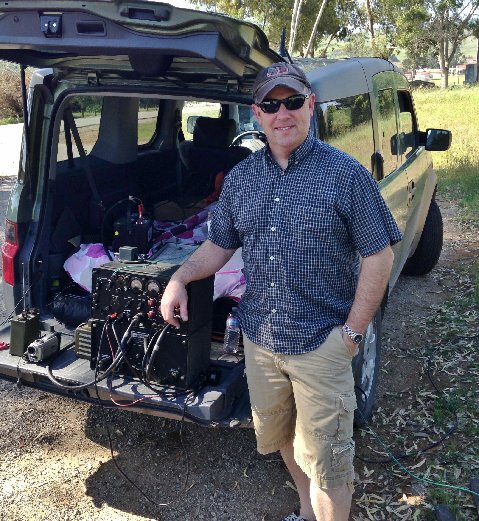 We worked Bart on the PRC-25 and also a long QSO with him using the Type 12 on 144.450 Mc AM (and no interference from the &#*&% APRS repeaters this time!). That little set sounds Great! Stay well grounded my friends! 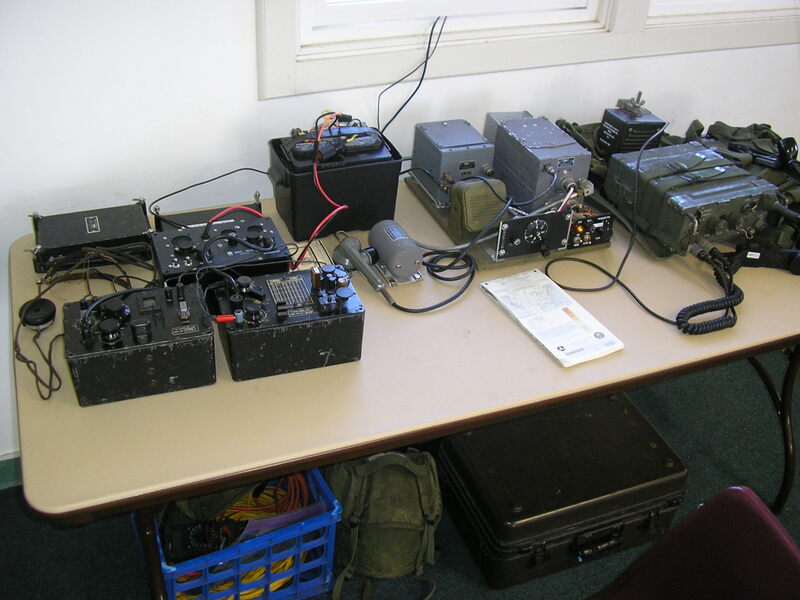 Get your Mil radio gear out in the field and do some training and Ops. I could not get across the pond this year, the photos and site looks great. I Love the SCR-522, as I have one on my workbench at the moment. Hi Ray – Well we missed you and your mates this year.. We had a good event several interesting Tech Talks too. You sure get the award for most miles traveled wen you CAN make it! Hi – It’s true! It’s all about the details…. Great Pix ‘s at Camp Delta. I see you got me standing next to Kurt. I wanted to thank you on the great tips I got from you, one on repairing the bias voltage battery in my GRC9 receiver, it works mucho better. I removed the AAAA batterys from a 9 volt cell then installed them in the bias socket as you requested. 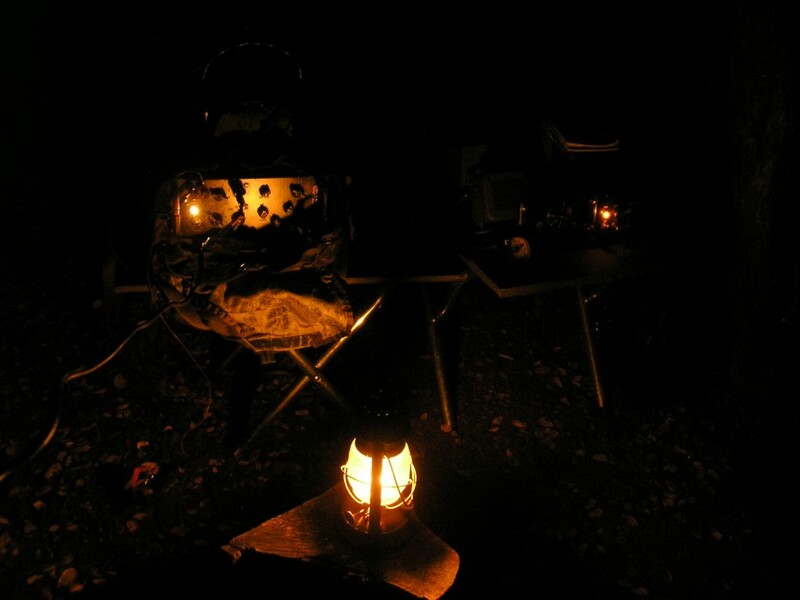 Nice checking out your Batt Comm Station pictures –I now have My station ready to go. I just picked up a BC611 on 3885 KCS off of Ebay and now putting together 10– 9 volt batterys for the B+. Any ideas there ?? 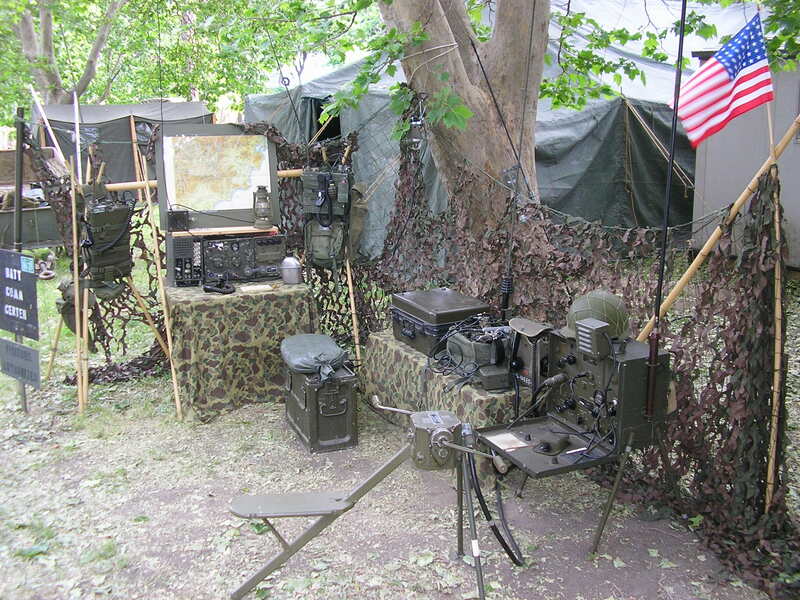 Hope to have my M38A1 Jeep and Comm Station ready to go in Sept –Are you going ?? Hi Jerry – Glad you stopped by the Batt Comm Cen (and my website! LOL )… Camp Delta is always a fun event and I always learn a lot of stuff from many different directions. OK on the BC-611. That is a solution that a lot of guys use. Since you probably won’t put too much time on it, the 9V batteries should last a useful amount of time. COSTCO!! HaHa… I built a small DC-DC HV converter that is powered by internal D Cells at 6V for the input. Stays inside the radio and works fine but I needed to cut the power wire to make the antenna switch operate. Easily restorable when the time comes. I should be there in Sept – hope the Jeep makes it, see you there.. Thanks Joe – and thanks for stopping by…. 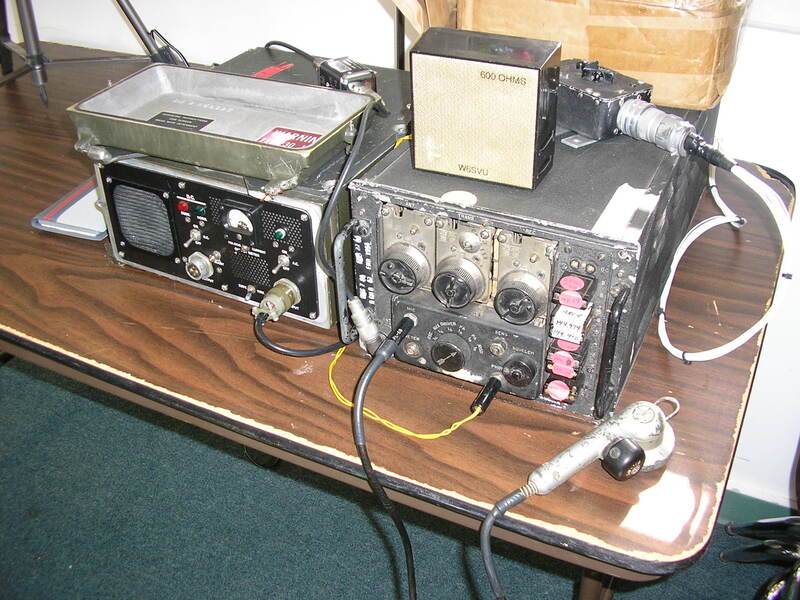 I have a US Army Signal Corps Motorola C-847/U Control Radio Set; a Signal Corps Colonial Radio Corp. R-77/ARC-3 receiver, and a Signal Corps Colonial Radio Corp. T-67/ARC-3 transmitter. They were my dad’s, who was a ham. But I don’t know if they work or not and don’t have the equipment or knowledge to find out. Are any of you collectors interested or do you know where I could find them a new home? Hi Dave – That is some classic gear, I ‘m sure your dad had fun with it. 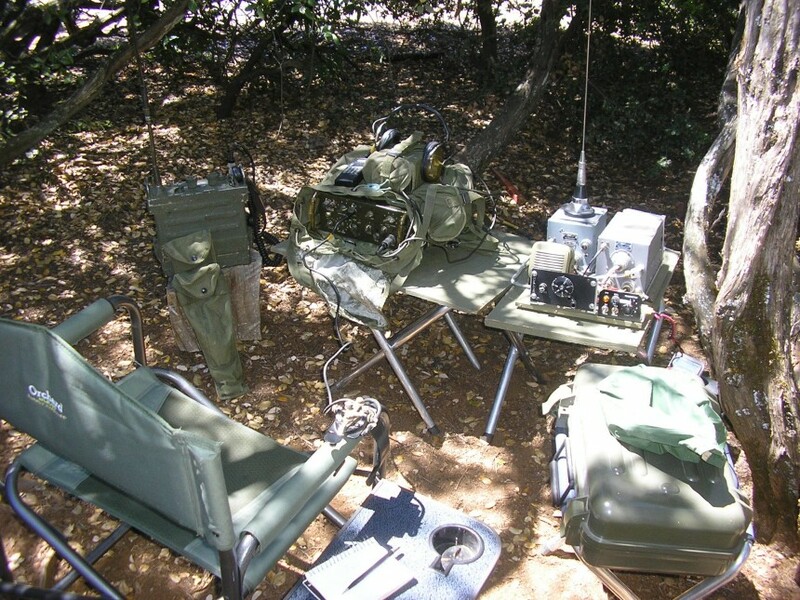 For Hams, that VHF AM equipment is a niche area even among military radio collectors/operators…I’ll leave your Comment here but you could of course try E Bay or Craigs list. You might get a bite via E Bay. Good luck! I’m new to the radio hobby. 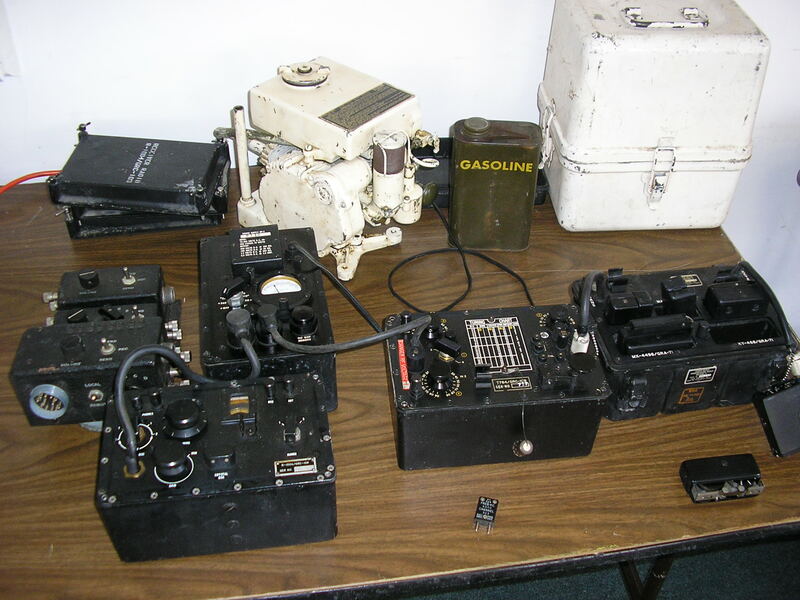 I own a pair of BC-611 military handie talkies and am looking for someone who can service and or repair. I understand the crystal configurations,power supply and usage licences ect. I live in WA state and can ship them if needed. I really want to get these pieces of American history in working order. Any information will be appreciated. Hi Corey – Unfortunately I am not in a position to take on new projects like that but maybe some site visitors might be able to. Anyone? You might also try the BC611 Yahoo Group and see who might be able to work on them for you. Great pictures of the two vehicles!! 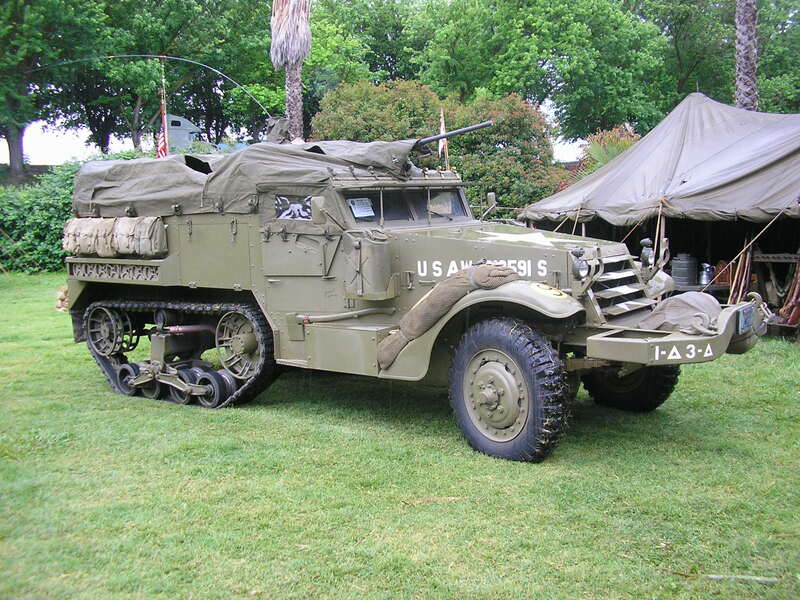 Great looking halftrack! Hi Bob – Sorry, I don’t have an FM-41 mount either…PM sent. A guy on G503.COM had one for $950 last year and I understand someone else is making good reproductions but not sure who..